Earlier last month Lily and I took a day trip along Rt. 65 and hwy 20 through small wet pockets of the Apalachicola National Forest region in search of carnivorous pitcher plants in bloom. Pitcher plants are a type of carnivorous plant, trapping insects in a pool of liquid inside the hollowed-out leaves. The inside of the pitcher is waxy and covered with downward-pointing hairs that make it easy for an insect to fall in but difficult to get out. The pool of liquid contains digestive fluids that break down the insects into basic nutrients that the plants can absorb... nutrients that are generally lacking in the highly acidic bog soil where these plants grow. These weird plants have always fascinated me with the unusual adaptations that their leaves have made to enable them to live in moist, acidic, nitrogen-deficient habitats that they overcome by getting essential amino acids from insects and other organisms. Lily had some favorite spots that we explored where we found more unusual pitcher plants known as Sarracenia leucaphylla and Sarracenia flava. Photos show below are a typical day trudging through the pockets and bogs of North Florida panhandle wetlands. S. flava L. 'Trumpet-leaf pitcher plant' is one of the largest species with conspicuous yellowish-green, erect pitcher leaves and 35" tall. The large flared hoods are held high above the mouth of the pitcher which can be a pale greenish-yellow or attractively streaked with dark maroon veins. The constriction between the hood and the tube-like leaves is usually conspicuously dark maroon. The large flowers have yellow to yellow-green sepals and petals. Flowers smell musty. In Florida this species is restricted to the northwest region from Leon County, west to Escambia County. S. flava can be seen fringing the cypress sloughs along highway 65 through the Apalachicola National Forest. Learn more here. S. leucophylla 'White-top Pitcher Plant' is one of the showiest species, with large leaves up to 35" tall that catch the light and seem to glow from within. The leaves are green with white splotches and purple to green venation. The showy flowers have brick-red to a paler rose sepals and pedals. 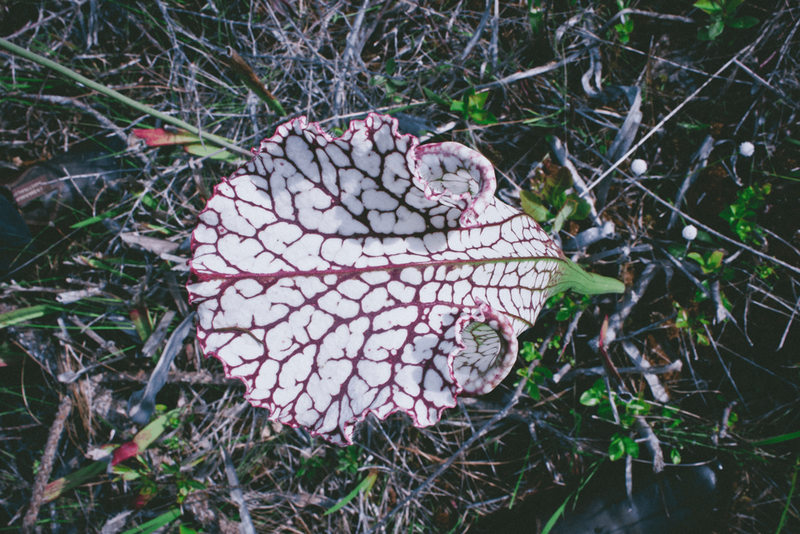 In Florida, this species is restricted to the northwest region from Franklin County west to Escambia County where it is one of the most conspicuous Sarracenia species in the coastal savannas around Perdido Bay, Pensacola Bay and Choctawhatchee Bay. This species is prevalent in the open savannas, sometimes found in small sphagnum bogs or in floating mats along acidic streams that run through sand hills. This plant is listed as a Florida Endangered that is subjected to a variety of threats including the loss or degradation of wetland habitat, often through conversion for cultivation, housing, and the development of recreational areas; direct use of and drift from herbicides; invasive exotic species such as kudzu, Chinese privet, and Japanese Honeysuckle; suppression and elimination of the natural processes essential for the maintenance of bog habitat (for example, through fire, or the activities of beavers); and direct collection of the species from poachers or just avid unique plant collectors aka poachers. Must we have every plant in our garden? The answer is no. There is not reported to be any legal protection for the white-topped pitcher plant and further study is needed to assess the level and impacts of trade and habitat loss on wild populations. Other recommended conservation measures include developing a management plan for the species, providing collectors with information on less harmful harvesting techniques, and educating vendors and florists about the threats to this popular but vulnerable plant. To find out more about the white-topped pitcher plant and its conservation see: International Carnivorous Plant SocietyThe North American Sarracenia Conservancy. The pitcher plants seen above weren't the only carnivorous plant we encountered. The ground was also covered in Sarracenia psittacina and Venus Fly Traps. Like most people the first carnivorous plant I ever heard of was the Venus flytrap. We've probably all seen the doomed individuals in little plastic terraria for sale in various stores -- most probably don't live very long at home, due to the 'houseplant' myth, these dudes need direct sunLIGHT! Venus flytraps are native to just a few places in the Carolinas but they are found in wet bog like areas through out the Apalachicola region. So yeah they aren't native, but they kinda got their "green card" because they adapt so well and haven't invaded our swamps and savannas. 1. Go early. Even if you get no sleep the night before. The forest is softer in the morning. 2. 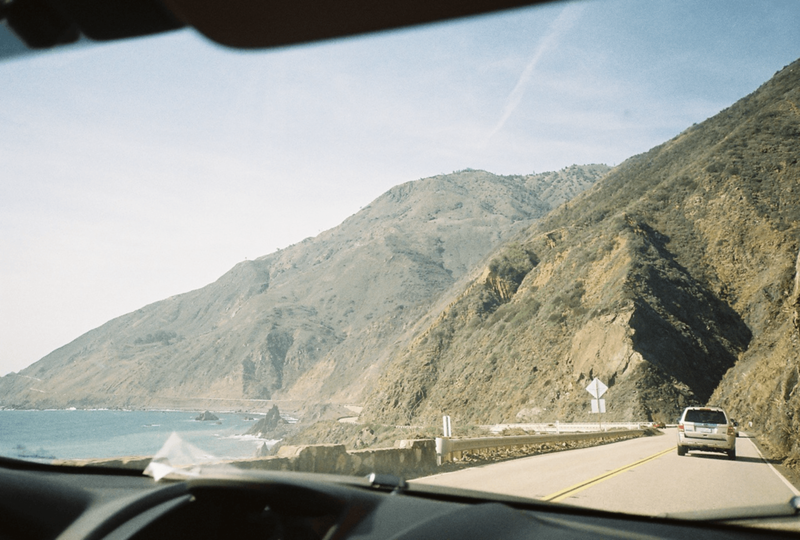 Find a place to stop. Stand if you must. Sit if you can. But be still or tread softly. 3. Close your eyes and listen. Open yr eyes and watch.